Wilson Komen competed once again in the Credit Union Cherry Blossom Ten Miler. 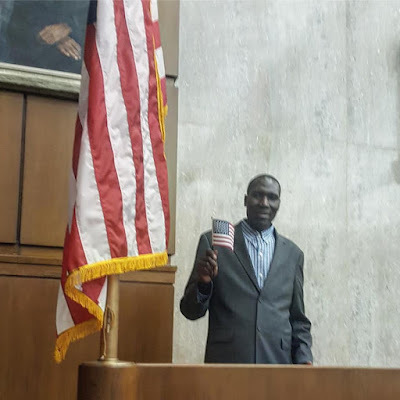 This particular race--April of 2019--was his first race as a US citizen, about which he is very proud. Thumbs up to all the finishers! Wilson finished in 57:27 for sixth place in his age group. Coach Komen runs the Cherry Blossom Ten Miler almost on an annual basis. Feel very invited to read his reflections on the race and his 2016 race recap. This past weekend saw Pacers Running host three different events in Washington, DC and Arlington, VA. Though Coach Kiprunning was not an official participant in any of these events (this time out), we did attend the Four Courts Four Miler to take some sunny Saturday pictures. This dog is a very good dog. 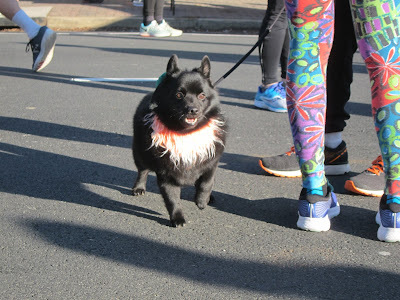 Our full photo album, which not only contains pictures of some great runners but also some very, very good dogs, is available on the Coach Kiprunning Facebook page. Give it a look! Well, we have another, less exciting reason to celebrate. We have completed the installation of new webforms on the Coach Kiprunning website, so they are now all working. Contact Wilson Komen if you are interested in training with him. On March 12, 2019, Wilson Komen took the oath of US citizenship in Washington, DC. Coach Komen is now a US citizen. Wilson came to the United States fifteen years ago to further his professional running career. 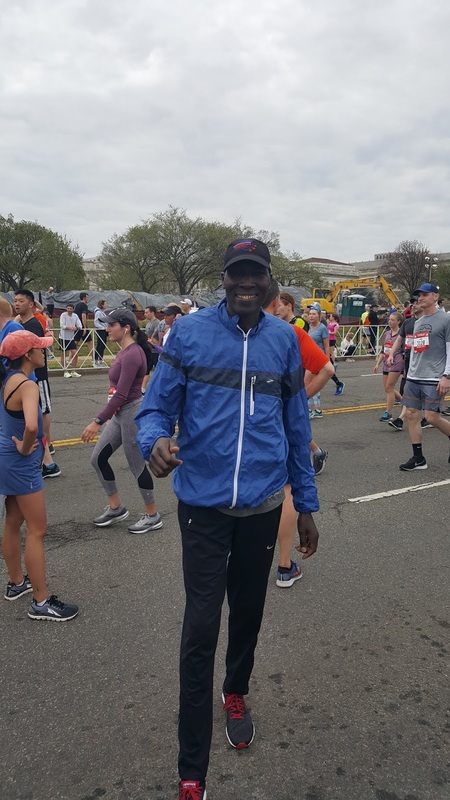 In that time, he has become a fixture in the Washington, DC running community, which he has helped support, in part, through his long-term position at Georgetown Running Company. Tuesday's ceremony was, in the words of the presiding judge, an august event. I was honored to be there with Wilson, and I feel fully confident in saying that America--the citizenry--is stronger and better for having him in it. Right now, spring 2019, Coach Kiprunning is in the process of updating some backend website settings to bring you an improved user experience. As a result, many of our webforms are experiencing intermittent outages and are not consistently being sent through the site. 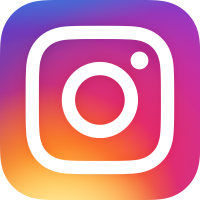 If you are a first-time trainee, or if you are inquiring about the Kiprunning Sports Club, please send Coach Komen a follow-up notification through his Contact page to let him know that you submitted the appropriate questionnaire form through his site. This separate notification will prompt Wilson to retrieve your form from inside of his website just in case it does not come through automatically. We apologize for this inconvenience, and we hope to complete our updates very soon. One of our somewhat regular features is the Current Trainee Profile. Today's installment of that feature is about Babak Jahromi, a new addition to the Coach Kiprunning Roster. 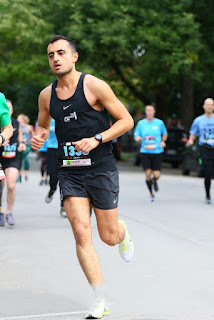 As of February 2019, Babak has been running for right around eighteen months, and he is pushing for a very competitive half marathon time beneath 1:10:00. He has trained in various locations throughout the United States and most enjoys the Hellyer Trail in San Jose, as well as the Chicago 606 Trail and Washington, DC's Mount Vernon Trail. To stay motivated, he maintains focus on the larger picture of training in all its components, and he pushes himself to dream big and to train seriously. We're looking forward to seeing Babak set some new PR's in the coming year. Kiprunner Tanya Senanayake was featured as the January 18, 2019 RunWashington Monumental Runner. We couldn't be happier for her. Read the whole feature, and while you're at it, check out her race recap of the 2018 Vermont City Marathon. I am pleased to announce that I have designed some additional ready-made training plans specifically for the Washington, DC Rock 'n' Roll Half Marathon and the Cherry Blossom Ten Mile Run. These training plans are available on my TrainingPeaks profile. I have designed three separate tiers of training for each plan: beginner, intermediate, and advanced. Both the Rock 'n' Roll and the Cherry Blossom are perfectly timed for experienced runners and for novices alike, and I always welcome the opportunity to work with both kinds of athletes. If you have any questions about the training plans, or if you are interested in a more personalized coaching experience, you can feel free to contact me. I will be happy to receive your inquiries. In the meantime, it's a new year. Get out there, and chase down those goals!